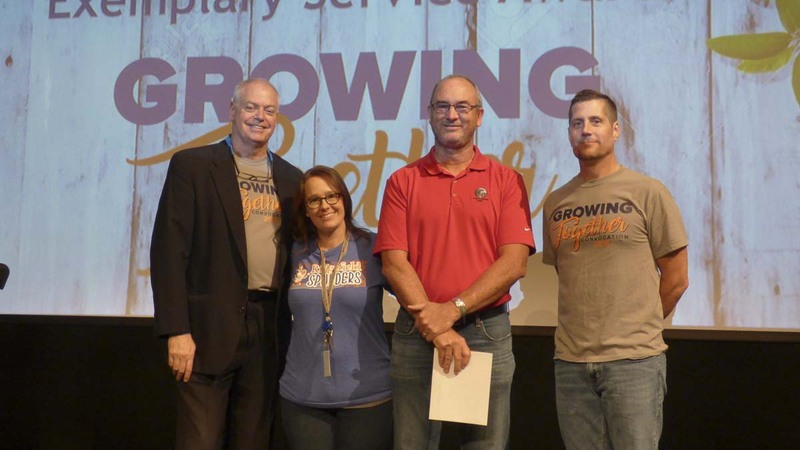 RIDGEFIELD — The Ridgefield School District recognized three employees with exemplary service awards and presented award honors to its Volunteer of the Year at its Convocation event on Aug. 23. 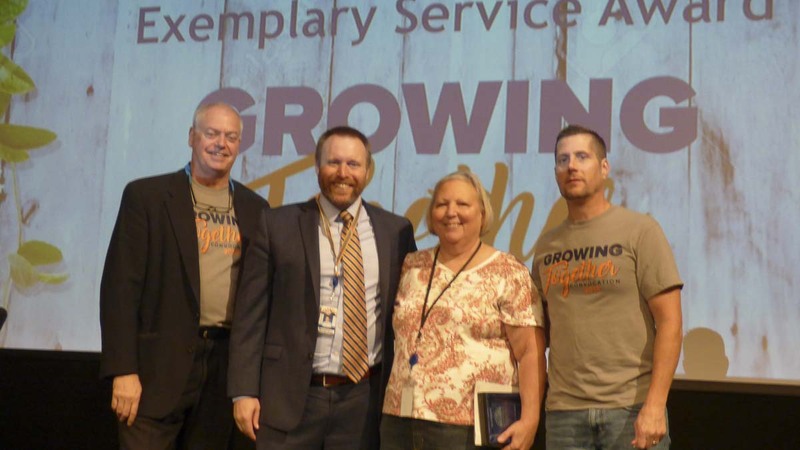 The annual district event welcomed teachers, administrators and staff returning from summer break and kicked off the start to the new school year. Gregg Ford, Ridgefield High School social studies teacher and boys track team coach was honored with the Certificated Exemplary Service Award. With a teaching career spanning 40 years, Ford is well-respected by Ridgefield High School (RHS) students, staff and the community for his passion for teaching and dedication to his students. The RHS boys track team clinched the state title under his leadership this past year. 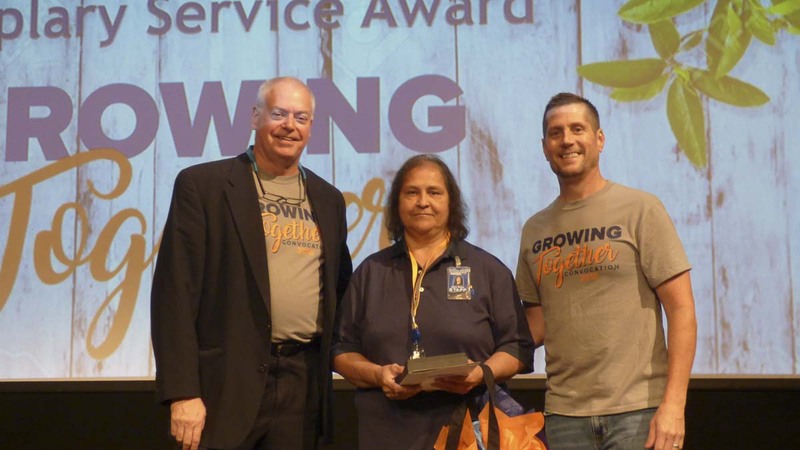 Mary Rojas, South Ridge Elementary School, custodian with American Building Maintenance, was awarded the Partner Exemplary Service Award for her work at the school. 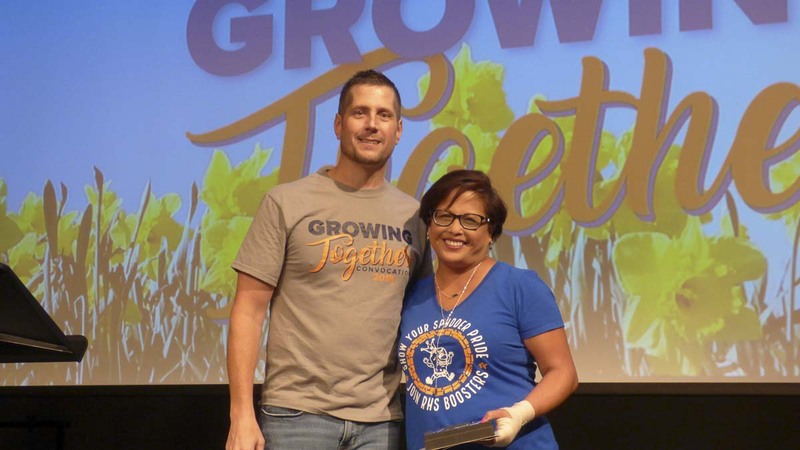 Rojas has served at the school for over 21 years and was honored for her tireless dedication to ensuring that the facilities are ready each school day. Rojas enjoys coming to work, saying that the best part of her job as custodian is working with the staff and especially the students.